Taking pages, chewing them up, and spitting the words back out again in a most delightful way: Austin Kleon doesn’t write poems, he sculpts them. Armed with a marker pen and a sheet of newsprint, he strikes out sections, eliminating words he doesn’t need to ‘reveal’ poetry hidden in the text. 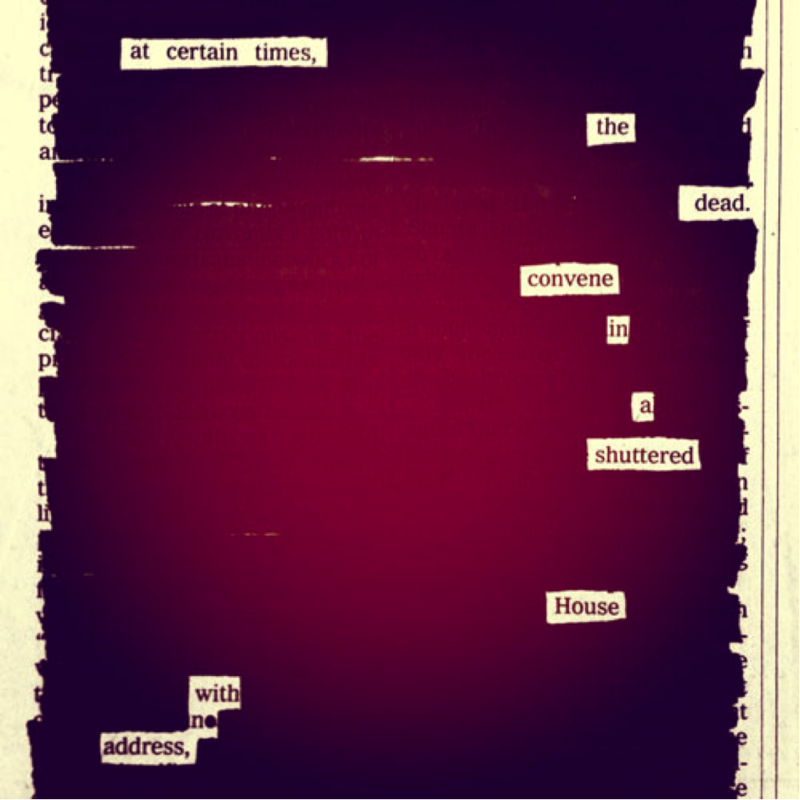 He calls it ‘blackout’ poetry, and the results are striking; sometimes hysterically funny, sometimes heart-wrenchingly poignant. By finding beauty in something as mundane as an out-of-date newspaper, the poems challenge the reader to do the same– and invites the question, what would you see in the same article? The companion website to Austin’s best-selling anthology of blackout poetry, NewspaperBlackout.com, let’s you find out by offering hints and tips for making your own work (like the video below) and publishing user submissions. The site was named “a must-see Tumblr blog” by Time Magazine and it’s easy to see why it’s so popular – 10 minutes was all it took to have us reaching for the papers. We’ve put together some of the best examples on the site in our photo gallery below. Check them out, and if you’ve been inspired to create your own masterpiece, make sure to hit Austin up via the Tumblr submission page. 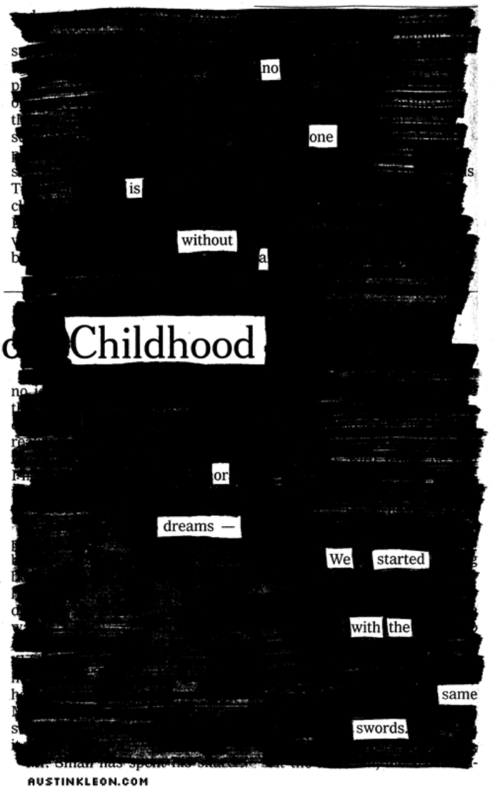 For more awesome blackout poetry, follow Austin on Twitter @austinkleon or pick up a copy of Newspaper Blackout. © 2018 Twenty Pegs Limited. All rights reserved.